Sleep apnea affects people of all ages although many can actually be seen in early childhood especially if the condition is caused by a congenital anomaly in the airway structure. Parents who are observant enough to their child’s sleeping habit can notice this early on and have them checked by a doctor but if left unattended, they will grow up with an undiagnosed sleep apnea that unknowingly impacts their health in a negative way over the years. 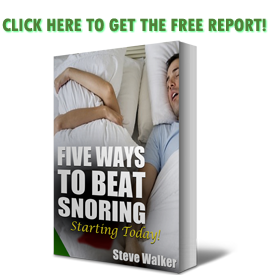 Snoring is a common symptom of sleep apnea although not all snorers have sleep apnea. It’s true we get annoyed at the loud snoring people to make but we lose sight of the danger their lives may be in because of a possible untreated disorder that literally endangers their lives and also compromises their health in the years to come. It is common to see older people who snore in their sleep. The elderly already suffer from poor sleeping patterns and it is worsened by sleep apnea. And when left untreated, it can also predispose them to Alzheimer’s disease. Not only are your cells and brain continually deprived of oxygen in your sleep if you have this disorder, older people are also at higher risk of forming amyloid plaque in their brain, which is a significant indicator of Alzheimer’s disease among older people. The problem is that most people who are already in the twilight of their lives are not really aware they have sleep apnea. They simply dismiss their snoring as an annoying habit they have to live with like what older people did when they were younger. If your sleep is continually disrupted by a condition called sleep apnea, you might face a higher chance of developing Alzheimer’s down the road. So claims a new study that has linked sleep apnea with an increase in the development of amyloid plaque in the brain, a hallmark of Alzheimer’s disease. Thanks to modern advancements and advances in the field of Science, studies have proven how sleep apnea increases an older person’s risk of developing Alzheimer’s disease later in life. Alzheimer’s is no joke because it messes up a person’s memory and it’s a deadly condition that impairs a person’s health and life. Those with sleep apnea no longer remembers people and events and leave them unable to care for themselves even in doing basic things like activities of daily living. You don’t need to be told twice for you to get your older parent or grandparent checked by a doctor seeing how serious its effects are. Not only are they at risk of Alzheimer’s or Dementia but their bodies in general experience greater distress all the time especially that they sleep each night with all those breathing pauses that constantly deprive them of oxygen, for starters. Fargo stressed that research into the role of sleep in dementia risk is “very important,” but there are still many questions. The findings — published online Dec. 10 in Neurology — are based on brain autopsies from 167 elderly Japanese-American men who’d taken part in a long-term health study before their deaths. As part of that study, the men had their oxygen levels and brain activity monitored as they slept. We can all reduce the risk of the decline in people’s mental performance and save them from conditions like dementia and Alzheimer’s, debilitating conditions that affect a big percentage of today’s elderly population. It is interesting to note, though, that while undeniably serious, sleep apnea is treatable. You don’t even have to undergo surgery or pay a hefty amount to address it. 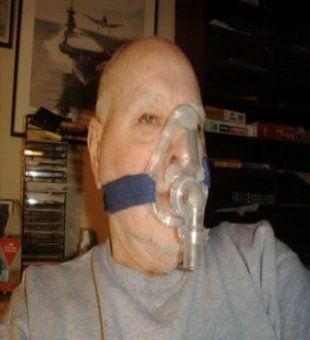 CPAP may not be a popular choice https://snoringmouthpiecereview.org/why-a-cpap-machine-is-probably-not-for-you but there are other options to stifle sleep apnea before it gets the best of you. Handy anti-snoring mouthpieces such as https://snoringmouthpiecereview.org/snorerx can save them from the woes of sleep apnea, which consequently will also save them from severe mental conditions that will leave them less of the human being that they were in the last few years of their lives.